One of the most valuable websites for Sikhs on the internet today, GurmatVeechar.com has an extensive collection of audio, video and literature, including complete sets of santhiyaa and katha on Sri Guru Granth Sahib Jee, Sri Dasam Granth Sahib Jee and more. in 1984, Indian troops stormed Sri Harimandir Sahib to attack the foundations of the Sikh religion. Later that year, there were organized riots against Sikh businesses and families following the assasination of the Prime Minister Indira Gandhi. SaintSoldiers.net has a lot of information, particularly rare footage and photographs from that era as well as factual information. One of the longest running Sikh websites, SikhRoots has one of the largest Gurbani collections on the internet. 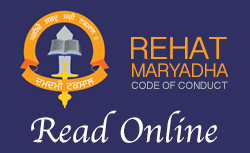 There's a wide range of keertan, katha, Bani and much more, all to download for free.